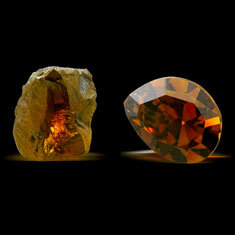 Langerman SPRL is a diamond merchant registered in Belgium under n° 11115. 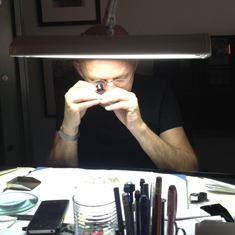 Langerman Diamonds has for over 50 years been a member of the four Diamond Merchants Exchanges of Antwerp. Through the Site, Langerman SPRL, offers to its users (hereinafter called " Users ") the possibility to purchase diamonds, jewels, books and posters (hereinafter called " Products "). Under the present terms it is agreed that the Users and Langerman SPRL will be collectively designated by the wording " Parties " and individually by the wording " Party " and that the User who has validated an order will be known as the " Buyer ". The rights and obligations of the User are necessarily and logically applicable to the Buyer. telephone n° : +32 (0)3 225 00 28 - From 10 am to 5 pm (GMT + 1). The present general sales terms have as object to define the rights and obligations of the Parties originating in the sale of Products presented on the Site. The key characteristics of each Product are described in the corresponding pages of the electronic catalogue on this Site. Pictures used for the presentation of the proposed products are not contractual and may in no way engage the responsibilities of the owner of the Site. 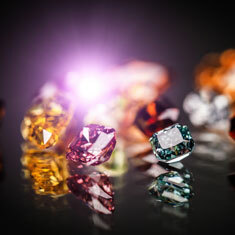 Any delivered Product can on request be accompanied by a diamond certificate established by an independent gemology laboratory (such as IGI, GIA, HRD, EGL), which bears a unique reference number, and describes the following characteristics: shape and cutting style, measurements, carat weight, color grade, color origin and color distribution. 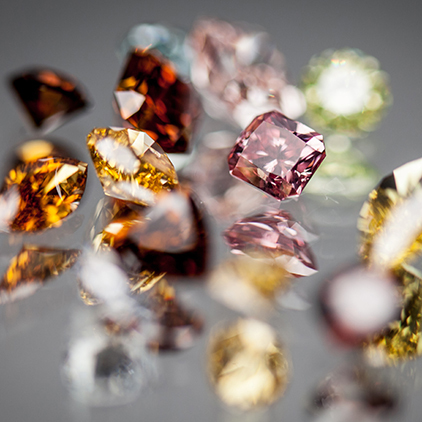 The clarity grade will not be included unless the client specifically asks for this, which is common practice for certification of natural color diamonds. Such a certificate has to be requested before the shipment, unless the diamond is already certified, and demands between 1-10 weeks of additional delay. The issuance of this certificate is made against a lump sum of 150 USD all taxes included for a GIA certificate, and 80 USD all taxes included for a IGI, HRD or EGL certificate. The diamonds offered for sale are unique. It is therefore advisable to contact by telephone or e-mail the Site to make a reservation for the desired Product prior to the order confirmation. The offer referred to in these present general sales terms as well as the delivery of the Products are made to any country of the world. Subject to reservation as mentioned in article 5, the price quoted at the end of the ordering process is a total price, including all fees and taxes. The price is shown in USD ($). Only payments made in USD ($) or, on demand and after communication from Langerman Diamonds of the exchange value, in Euros (€) are accepted. The Site cannot be made responsible for mistakes or inaccuracy of the currency converter device nor for any difference that might occur between the estimated total amount of your order and the invoiced amount. with your credit card Visa, MasterCard/Eurocard and American Express via Paypal. In this instance, your order will be dealt with after due authorization from Ingenico, in accordance with the process described under article 8. In this case, the Product ordered will only be shipped after reception of the full payment. It is therefore advisable to make the payment as fast as possible. By calling by telephone our Customer service: +32 (0)3 225 00 28 - From 10 am to 5 pm (GMT +1). By fax : +32 (0)3 232 03 29. By mail : Langerman, 62 Pelikaanstraat, B-2018 Antwerpen, Belgique. The Site also accepts payment in Bitcoins. The amount to pay in Bitcoins will be calculated using the conversion rate to USD ($) at the time of the purchase. The Site will establish an invoice. The Buyer is requested to provide a postal address for sending the invoice. TEx = Excluding taxes; TInc = All taxes included. Unless otherwise mentioned, all prices mentioned on the Site exclude the Belgian VAT (Value Added Tax). Individuals and companies: the sale is TInc, the Belgian VAT of 21 % will be added. Individuals: the sale is TInc, the Belgian VAT of 21 % will be added. Companies: the sale is TEx (provided we are given a valid intra-community VAT number). Individuals and Companies: the sale is made Tex exclusive of VAT. However, Buyers will be bound to declare this import in order to conform to the laws and regulations applicable in the country where they reside. In accordance with the article 42, §4 of the Belgian VAT book, the sales of gemstones made to dealers in these goods are exempted from sales taxes insofar as they are registered as dealers in unmounted diamonds. 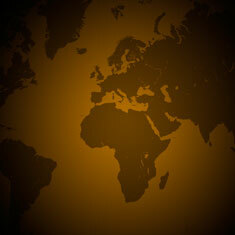 Deliveries are made all over the world. They are executed by Malca Amit, an international organization specialized in the transportation and handling of values. The shipping costs are charged to the Buyer and are added to the price of the ordered Product. $180 TInc for orders reaching an amount equal to or below $2.500 TInc. Free for orders above $2.500 TInc. The packaging bears no written mention of its origins, so that its delivery remains confidential and secured. Shipments with Malca Amit are insured at our intervention until the moment the Buyer takes it into his custody. In order to ensure its perfect and secured state during the shipment, all Products are carefully placed into a special box and protected by sealed packages. For orders with a value below USD $1,000 we also propose a non-insured option with recorded and signed for mail at a cost of $50. This shipping option is not covered by an insurance and it is at the Buyer's risk. Delivery normally takes place between 10 and 21 days. The User may browse through the different Products offered for sale on the Site. The User may browse freely through the different pages of the Site without any order engagement whatsoever. If the User wants to place an order he will have to select the different Products he is interested in and will confirm his selection by clicking on the box " Add to my box ". Any new addition in his basket [caddy] will be confirmed by showing a specific screen. end his selection of Products and order these by clicking on " Confirm Order ". The order is registered only after the information provided is confirmed as true and valid. The acceptance of the order is made for good after clicking on the button " Validate my order ". The Site acknowledges receipt of the order as quickly as possible by sending an e-mail detailing the pre-contractual information as well as the purchases made. This confirmation is made by sending an e-mail to the electronic address given by the Buyer at the time he has confirmed his order and by a telephone confirmation at the telephone number indicated by the Buyer. At the moment of the confirmation, the Buyer is informed of the availability of the Product. If the order cannot be fulfilled, the Site advises the Buyer. The Buyer will be offered the possibility to be informed of the future availability of the missing Product by an e-mail. The Site has given the exclusivity for the payment by credit card through the secured Ingenico payment system that allows the encryption of all your information exchanged during the on-line payment through the Site. The cards accepted by the Site are: Visa, Master Card/Eurocard and American Express. At the time of payment, the Buyer is required to mention his card number and its expiry date. The Site can not be held responsible for any of the consequences which might result from the usage, fraudulent or not, of the credit card, including the eventual interception by a third party during the exchange of information. At the time the payment occurs, the Buyer is re-routed to the Ingenico secured site during the entire payment transaction. This process ensure the confidentiality of the payment information (including the credit card number). 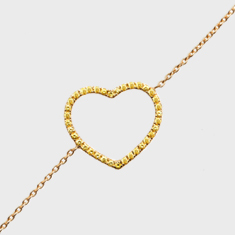 By so doing, the Site is not informed of the credit card number of the Buyer: this information is only passed through to the financial organisation. The Site receives a certificate originating from Verisign that confirms the reality of the existence of Ingenico as well as the usage of a SSL certificate regarding the encryption of the confidential data. Once the payment is accepted and confirmed by clicking on " Proceed to payment ", Ingenico will proceed with the verification of the payment and complete its processing. Regarding the payments made by Belgian residents, the payments will be definitively acquired to the Site after expiry of the legal period of 7 days as referred to by article 9. The Buyer can also choose to pay through PayPal.com, in which case he will be redirected to the PayPal website and asked to connect to his PayPal account. Optionally at this point, the Buyer can also choose to fill out his credit card number, expiry date and CVV code directly on the PayPal.com website, without connecting to an existing PayPal account. The Site also accepts payments in Bitcoins. The amount to pay in Bitcoins will be established using the conversion rate to USD ($) at the time of the purchase. In compliance with the Belgian law, any Buyer residing in Belgium may notify the Site that he cancels his purchase during the 30 working days following the day after which he took physical possession of the Product(s) he ordered. The Buyer must return the package with a copy of his order or his invoice. Insofar as the Site has received the returned package or proof that it has been sent, the Site will reimburse the Buyer (using the same means of payment, unless otherwise agreed with the Buyer), within the next 14 days, of the paid amount for the Product without prejudice to application of the terms as mentioned under article 10 hereafter. This measure is applicable to any Buyer who is protected by a similar legal protection in his country of residence. If a Buyer makes use of this right, the terms of article 10 hereafter are applicable. Returns made in application of article 9 here above will only be accepted and reimbursed or exchanged if our specialists confirm that the gemstone conforms with the Product that has originally been shipped, without any damage, modification or intervention of any kind. The Product must be shipped back in its original packaging, complete (original of the delivered certificate, packaging, case, instructions leaflet...), in perfect state of order accompanied by a copy of the original invoice of purchase. Hence, any Product shipped back incomplete, damaged or soiled will in no circumstances be accepted. If a Buyer makes use of his right of revocation as described in the article 9, the costs for shipping back are of his own responsibility, as well as the costs engendered by the depreciation of the Product resulting from manipulations other than those required to establish its nature, its characteristics and its conformity. In order to establish the nature, characteristics and conformity of a Product, the Buyer must only manipulate and inspect the Product in the same way as would be allowed in a store. During the Revocation period, the Buyer must exercise all necessary precautions when manipulating and inspecting the Product. The address for shipping back is: Natacha Langerman, 62 Pelikaanstraat, B-2018 Antwerpen, Belgique. The return shipment is made under responsibility of the Buyer if he is not making use of the transporter recommended by the Site (Malca Amit, Hoveniersstraat 30, 2018 Antwerp, Belgium, Tel: +32 32341934, Fax: +32 32338884, e-mail: customerservice.anr@malca-amit.com). The Product should not have been used by the Buyer. If payment has been made by PayPal, the costs incurred by the Site in the form of payment commission will be deducted from the reimbursed amount. If the Buyer has paid in Bitcoins, the reimbursement will be made using the conversion rate to USD ($) at the time of reimbursement, not at the time of the purchase. The refund will be done in the currency in which the Product was priced. Any required currency conversion during the refund process will be calculated at a spot rate determined by BitPay, following the guidelines found here: https://bitpay.com/bitcoin-exchange-rates. 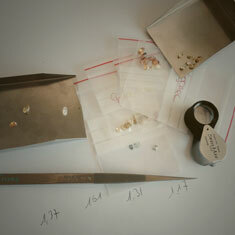 The Site will make all and any reasonable efforts to deliver the diamonds in the best delay. Unless the Parties have otherwise agreed, the delivery will occur at the latest within the 30 days following the placement of the order. The products are delivered to the address indicated by the Buyer during the ordering process. The transporter will only hand the products over to the Buyer against an official document proving his identity and the signature for reception of a shipping note. If the payment has been made by using a credit card, the Buyer, for his own security, will be asked to show his credit card and/or identitycard or a photocopy. Moreover, in this eventuality, the delivery will only be made if and when the delivery address is identical to the address of the Buyer. It is imperative for the Buyer to verify the package and the Product at the time of the delivery. If at the time of the delivery the Buyer notices any visible damage he has to notify the transporter by making a written note on the shipping note before signing for reception. In any such case of visible or hidden damage, he has to notify by electronic mail and registered letter (Natacha Langerman, 62 Pelikaanstraat, B-2018 Antwerp, Belgium), his claim within the next 15 calendar days (including holidays) as of the date of the delivery (on the evidence of the stamp of the post office). After this delay no claim will be accepted. If by special extraordinary circumstances, the Buyer does not receive his shipment within the month following his order, he is asked to inform the Seller (Natacha Langerman, 62 Pelikaanstraat, B-2018 Antwerpen, Belgique - T. +32 3 225 00 28 - F. +32 3 232 03 29 - e-mail contact@langerman-diamonds.com). The transfer of property of the Product for the profit of the Buyer will only be completed after full payment, whatever the delivery date of the said Product. On the other hand, the transfer of the risks of loss or damage of the Product is made at the moment the Product is delivered and its reception by the Buyer. The date shown on the shipping note makes evidence for the date of delivery. 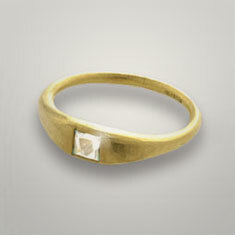 The Site guarantees that the delivered Product conforms to the accompanying diamond certificate. Every Product is carefully inspected prior to transportation. The Buyer is requested to perform a similar inspection at the time of delivery. Claims must be made as defined under article 11 here above. The Site endeavours to present the Products with the greatest accuracy. 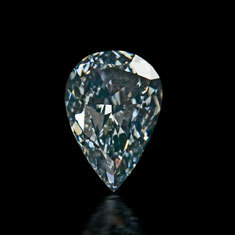 However, it is impossible to exactly reproduce the real color of a diamond on screen. Moreover the color depends on the hardware used by the Customer. Therefore, the responsibility of the Site cannot, as far as the exactness of the color is concerned, be committed. Therefore, the documents linked to the Products are given indicatively and are not contractual. The Site will not accept nor give a guarantee for claims based on the color or description of the Product. In no way can the Site be made responsible for delays in the fulfilment of an Order nor for not executing it if the delay or non execution is a consequence of a technical reason or any other reasons beyond our control. In these circumstances, the Site is allowed to reasonably postpone the delivery or to simply cancel any pending Order. No claim will be accepted nor any guarantee can be given beyond what is stated under article 11. Guarantees as defined above are restrictive and replace any other guarantee whether implicit or explicit. All diamonds offered for sale on the Site comply with the Kimberley process. The Site will hold your personal information in accordance with the Belgian law dated 8 December 1992 regarding the treatment of personal information. This applies to the collection and treatment of data collected through the Site as well as those recorded in the Site's files. In accordance with the stated law, any User has the right to delete, amend or correct his information. Their consultation, amendment, deletion or correction can be made by sending an e-mail or by writing to the Site whose address is mentioned here above. The information is collected at the moment the order is recorded and its aim is only to better serve the User. The order and its acknowledgement sent to the Buyer are kept in our archive for a duration of five years as off the delivery date of the ordered Products but are in no way transmitted to any third party. The Site engages itself to treat as strictly confidential the information it has collected for dealing in accordance with these terms and will never disclose any of these to anyone nor at the time of the processing nor after the process is finalized. The Site also collects personal data for purposes other than the processing of orders (cookies, on-line forms). This data will be used for the sole purpose of enabling the User to use the information tools and to create statistical and historical reports. This information will not be used for any other purpose and will not be kept in our systems beyond the time necessary for these purposes. The provision of information is optional, however some tools on this site will only work if this information is provided. The User’s IP address is automatically recorded by the system. This information does not personally identify the User who remains anonymous, unless he has himself provided this information. The Site and all of its elements are protected by the applicable laws governing intellectual property. They are the exclusive property of Natacha Langerman. The use of the actual Site is reserved for personal use. Any public reproduction or communication of texts, pictures or any material belonging to the Site is strictly forbidden without prior written authorization from Natacha Langerman. Any hypertext link directly connecting to this Site may only be established after a written consent from Natacha Langerman. The computerized files recorded in the information system belonging to the Site in reasonably secured conditions are the pieces of evidence for any communication, orders and payments occurring between the Parties. The filing of the purchase orders and the invoices is made on a reliable and durable support that can be used as piece of evidence. The present general terms are applicable to any offers, sales, purchases and related processes whatsoever occurring between the Parties. Therefore, by calling for or using the services of langerman-diamonds.com or by ordering and/or closing any kind of contract the User implicitly and irrevocably accepts having received a copy of the present terms and that these can be used as evidence. Moreover, the User accepts their implementation without any restriction. 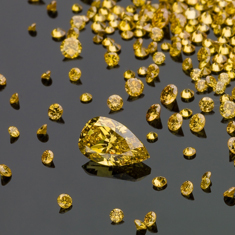 The general or special terms of the User will never be applicable unless a prior, specific and written agreement has been given by langerman-diamonds.com. These general terms may change in the future. The User tacitly accepts each and any of these amendments by going on using and visiting the site langerman-diamonds.com. He forces himself to regularly get acquainted with amendments brought to the general terms. langerman-diamonds.com invites the User to take notice of the general terms and to accept them by clicking on " I Agree " below the pages of the general terms and by so doing to proceed with the treatment of his purchase. If the User does not comply with this obligation he will not be allowed to process the payment of his purchases. The general terms are available in three languages [French/Dutch/English]. Not acquainting himself of the general terms of langerman-diamonds.com in his mother language does not exempt the User of their full implementation. The User wishing to purchase from this Site declares that he has the entire legal capacity to do so. The present general and sales terms are written under the ruling of the Belgian law. The Parties agree that any litigation relating to the present general terms will solely be of the competence of the Courts of Brussels.